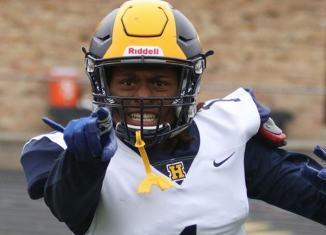 The top-ranked Volunteers stay at home on Saturday to host a bitter conference rival. And they’ll do so in front of a sold out crowd attempting to pull off another “Checker TBA” game. No. 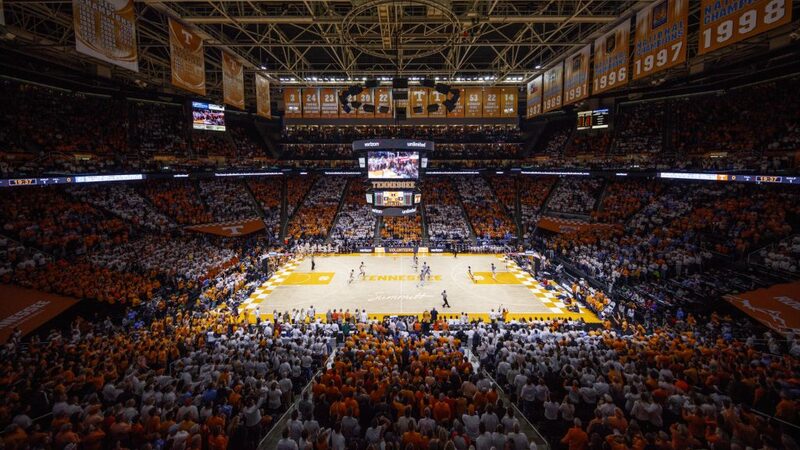 1 Tennessee (21-1, 9-0 SEC) hosts the Florida Gators (12-10, 4-5 SEC) on Saturday at 4:00 Eastern, and it won’t be a normal Thompson-Boling Arena atmosphere at tip-off. Fans have been asked to try and put together another “Checker TBA” game just like last season when the Vols hosted North Carolina, the defending champions from the previous season. That time, the Vols fell to the Tarheels after they completed a comeback. This time, Tennessee is hoping to reward the home crowd with a victory. Tennessee enters Saturday’s game riding a program-record 17-straight victories. The Vols haven’t lost since late November. Florida, meanwhile, has lost two-straight games and have only won one of their last four contests. They’ve faced a rough stretch over the last couple weeks, losing to TCU on the road in the Big 12/SEC challenge, defeating Ole Miss in overtime, then losing to Kentucky by 11 and losing to Auburn by 14 on the road. The last time these two teams met, Tennessee edged out a determined Gator squad in Gainesville. 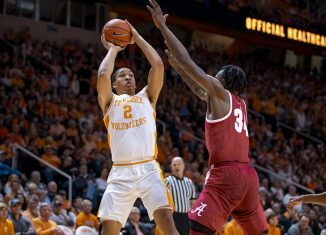 The game was close for nearly the entire contest, but the Vols sealed the deal late and ended up pulling away in the final minute to put a cap on a 78-67 victory. 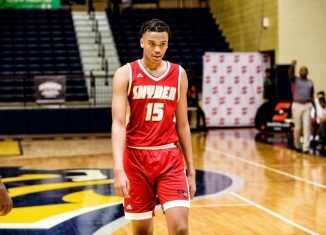 The Gators shot 32 threes against Tennessee in that game, connecting on 12 of them. 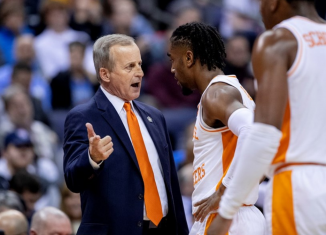 But Tennessee’s quartet of Grant Williams, Admiral Schofield, Jordan Bowden, and Lamonte Turner proved to be too much for Florida. The end of the game is probably the most memorable part of that match-up. Tennessee’s players all did the “Gator Chomp” toward Florida’s fans after the game, and Admiral Schofield said after the game that Gator fans had been chirping at him and his teammates all during the game. “Their fans were chirping a lot, even behind our bench,” Schofield explained to reporters after the game. “Some things were said from fans that were older fans, not even students. Alumni, maybe. Just disrespectful. Inhumane. Since that game, Tennessee has gone 7-0 overall and 6-0 in SEC play. The Gators have dropped four of their last seven games since the two teams last met. Here’s everything you need to know when No. 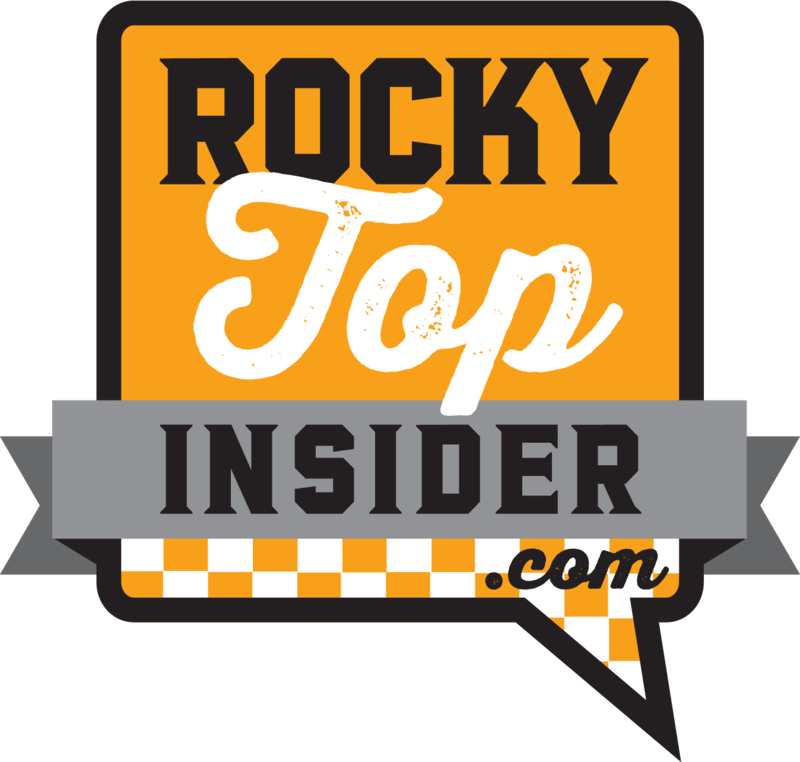 1 Tennessee hosts Florida in Thompson-Boling Arena on Saturday afternoon. Florida has one of the best defenses in the SEC. 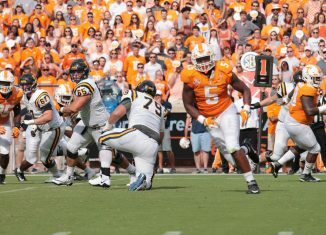 Tennessee has one of the best offenses in the conference. The last time these two teams played, UT’s offense found a way to win that battle. Can they repeat that outcome? The Gators are allowing just 63.4 points per game overall, and they’re giving up the second-fewest points in SEC play this season, holding conference opponents to only 69.1 points per contest. Tennessee, meanwhile, is averaging the second-most points per game in conference play. The Vols are putting up 87 points per contest in SEC play, and they’ve scored over 80 points in six of their nine SEC games this season. Unfortunately for Florida, their offense has a hard time putting up points on the other end. Florida is only averaging 67.8 points per game in conference play, the fourth-lowest average among SEC teams. They’ve been held to fewer than 70 points in seven of their nine SEC games. 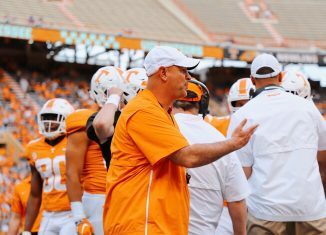 Conversely, the Vols haven’t scored less than 70 points in a single conference game this season, and they’ve only been held to less than 70 points once in 22 games this year (a 66-53 win over Georgia Tech). Tennessee’s defense has been good, too. They’re only giving up 69.3 points per game to SEC foes, and they’re holding conference opponents to just 40.7 percent shooting. No team in the SEC plays at a slower pace than the Gators. According to Ken Pomeroy’s metrics, Florida has the lowest tempo of any team in the SEC and one of the lowest in Division I college basketball. Per his adjusted tempo metric, the Gators are only averaging 63.3 possessions per game. That ranks 337th out of 353 Division I teams. The Gators have held SEC teams to the fewest amount of field goal attempts this season. Teams are only averaging 53.1 field goal attempts per game against Florida in conference play. Tennessee is averaging 59.4 field goal attempts a game in SEC play, and the Gators held them to 55 attempts from the floor the last time these two teams played. 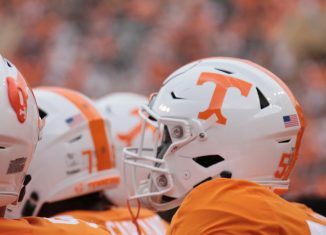 Tennessee’s pace ranks 146th in Division I, and they average 68.5 possessions per game. 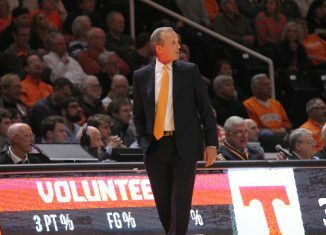 The Vols have had issues guarding the three-point shot since entering SEC play. And they’ll be facing one of the more proficient marksmen in the conference on Saturday. Freshman Noah Locke is shooting 42.1 percent from three this season for the Gators, and that clip hasn’t really dropped much in SEC play. He’s made 41.3 percent of his threes against SEC competition. Locke not only shoots well from three, but the majority of his field goat attempts come from behind the three-point line as well. On the season, Lock has attempted 205 total field goals, and 145 of them have been three-pointers. All of that doesn’t bode well for a UT defense that’s struggled defending the three over the last month-plus. The Vols got back on the right track a little bit against Missouri earlier this week when they held the Tigers to just 31.8 percent from three, but before that game, teams were shooting 39.7 percent from distance against the Vols in their previous five games. Last time Florida played Tennessee, Locke was 4-of-9 from three. Fellow guard KeVauhgn Allen was 5-of-6 from three in the game as well. One area Florida struggles the most in is rebounding the ball. The Vols took advantage of that last time these two teams played, and that needs to be a focal point again this Saturday. The Gators are one of the worst rebounding teams in the SEC. In conference play, they’ve totaled just 283 total rebounds in nine games, giving them an average of 31.4 rebounds per game in SEC play. That ranks 13th among the 14 SEC schools. Florida is bringing down a measly 20.6 defensive rebounds per contest in conference play, ranking dead last. Tennessee, meanwhile, is averaging 36.1 rebounds per game against SEC foes. The last time these two teams met, the Vols out-rebounded the Gators 32 to 23. If Tennessee wins on Saturday, they stand to make even more history. 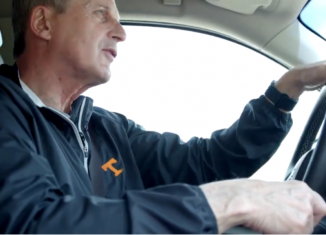 The Vols are already riding the longest winning streak in school history at 17 games. Another victory would stretch that record. 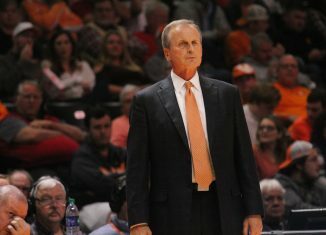 But getting that 18th-straight win would also be the longest winning streak in Rick Barnes’ 32-year coaching career. He led Texas to a 17-0 start in the 2009-10 season, and that’s the longest winning streak he’s ever achieved as a head coach. 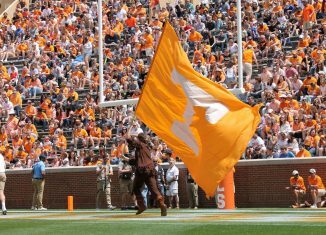 Not only that, but a win on Saturday over the Gators would give the Vols 14-straight wins over SEC teams in the regular season. That would also break a school record. 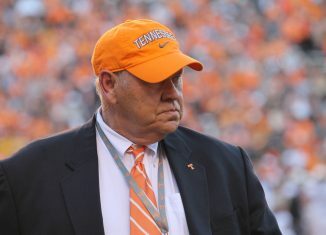 It would also give Tennessee a 10-0 record in SEC play, their best start in conference play since they also started out 10-0 in the 1976-77 season.